Healthy make-up is on Sale this week! 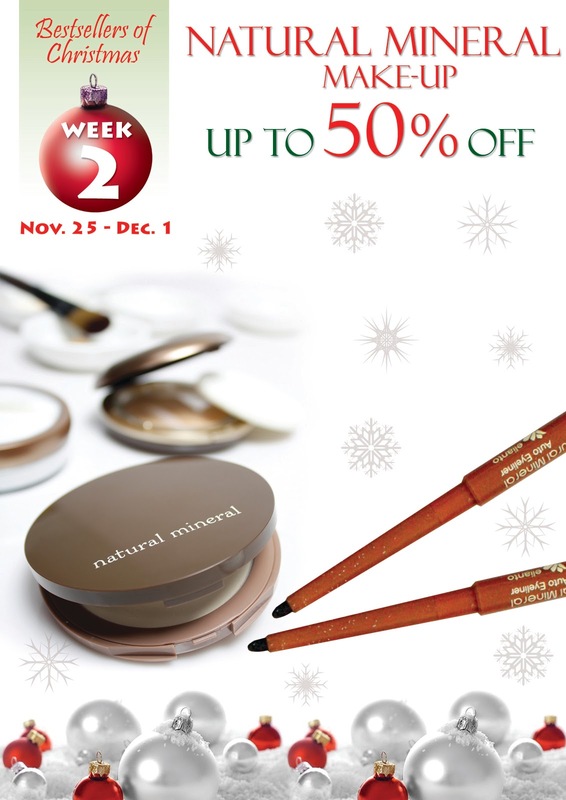 From November 25 to December 1, Elianto is giving us shoppers a special Mineral treat! Their Natural Mineral line ﻿made in Italy Cream Foundation is now only Php 350, from Php 650! Highlight and Fixing Powder is also just Php 300, from Php 599. The Auto Eyeliner is now only Php 150, from Php 250! Wow! The week-long sale ends on December 1, 2010. Don't forget purchases Php 500 up which includes select Elianto items entitles you to get freebies! I myself got a nice powder puff! Take advantage of this sale ladies. Happy shopping!